NVIDIA is offering early access to a version of Unity with the company’s VRWorks features integrated into the engine for enhanced VR performance. As developers explore the limitless potential of VR, performance and efficiency continue to be an essential focus of hardware and software. Unity, one of the most popular game engines for VR development, has been a long-term supporter of the medium, introducing many VR-specific features as the hardware evolved at a frantic pace over the last few years. At GDC 2016, Unity announced they would be adding support for VRWorks, Nvidia’s SDK for optimisation of VR using the company’s GPUs. 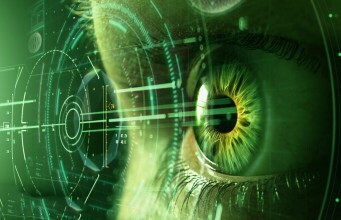 At Unite 2016 this month in Los Angeles, this commitment hit an important milestone, with Nvidia providing early access to a version of Unity with native VRWorks support for select VR developers, which includes the four major features for VR graphics optimisation: VR SLI, Multi-res Shading, Lens Matched Shading, and Single Pass Stereo. Developers can apply for early access here. Nvidia says they’re working toward bringing these features into the main branch of Unity. Integrated VRWorks support in Unity means faster and easier integration of VRWorks technologies for developers, which Nvidia says can result in major performance improvements thanks to features unique to their GPUs. Multi-res Shading, which has already featured in custom branches of Unreal Engine, deals with the barrel distortion required for rendering optically-correct images to a VR headset, rendering multiple viewports across a single render target, using a hardware feature called ‘multi-projection’. By shrinking the outer viewports, the render target is much more efficient, offering a 30% improvement in some cases. Pascal-equipped systems benefit most significantly, as the Simultaneous Multi Projection technology introduced with the architecture allows VRWorks to perform Lens Matched Shading, where 16 views can be rendered at different angles in a single pass, which can be shaped to closely match the distortion of a lens in a VR headset, resulting in far fewer wasted pixels across the render target. Combined with Single-Pass Stereo—which allows for reprojecting geometry around a second viewport—means 32 views are being rendered in a single pass, which can produce a significant performance increase in pixel shading throughput compared to Maxwell and earlier GPUs. Nvidia has also integrated VRWorks into the latest versions of Unreal Engine, Unity’s closest competing game engine for VR development. The post NVIDIA Has Built VRWorks Into Unity, Builds Available Now appeared first on Road to VR.